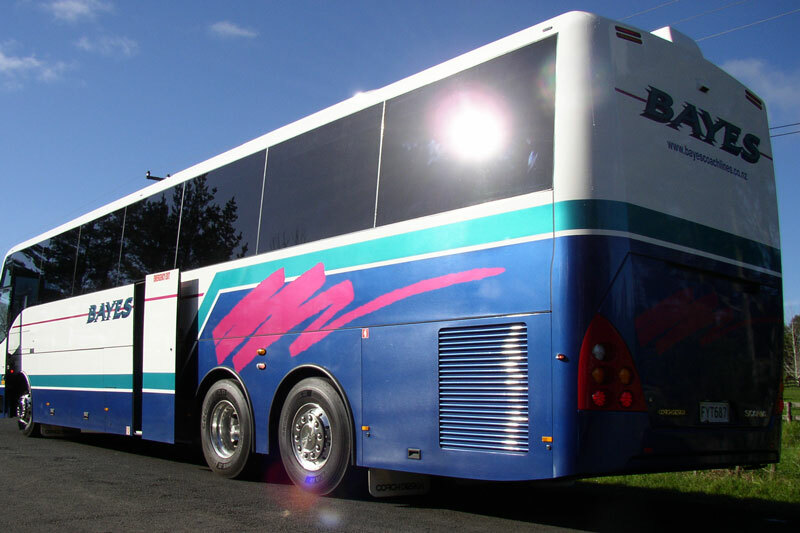 Our full size touring coaches range from 5 to 4 star ratings and are appointed with air-conditioning, cloth covered reclining seats, fully carpeted, coach entertainment systems and some with on-board toilets, fridges, TV/DVD Systems and twin-door entry. 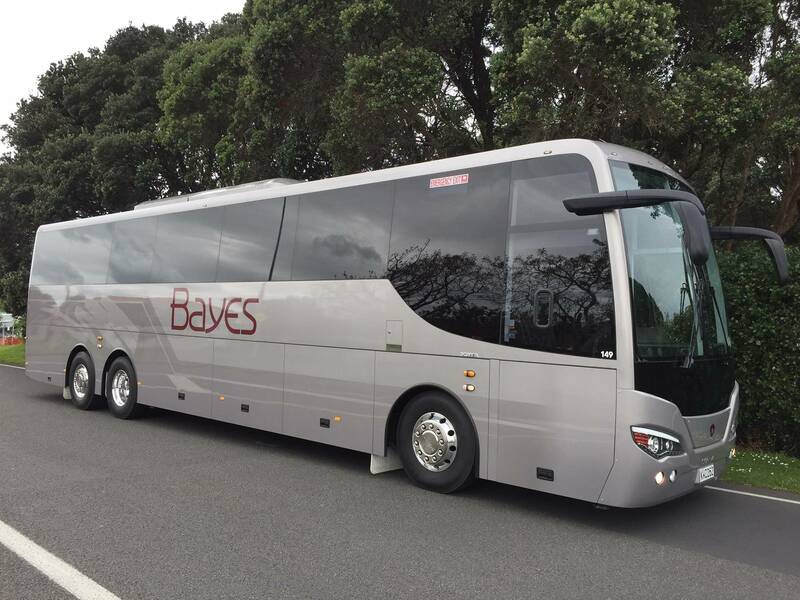 Our Mercedes Benz or Scania coaches are also environmentally friendly vehicles with either Euro 4 or 5 emissions ratings. 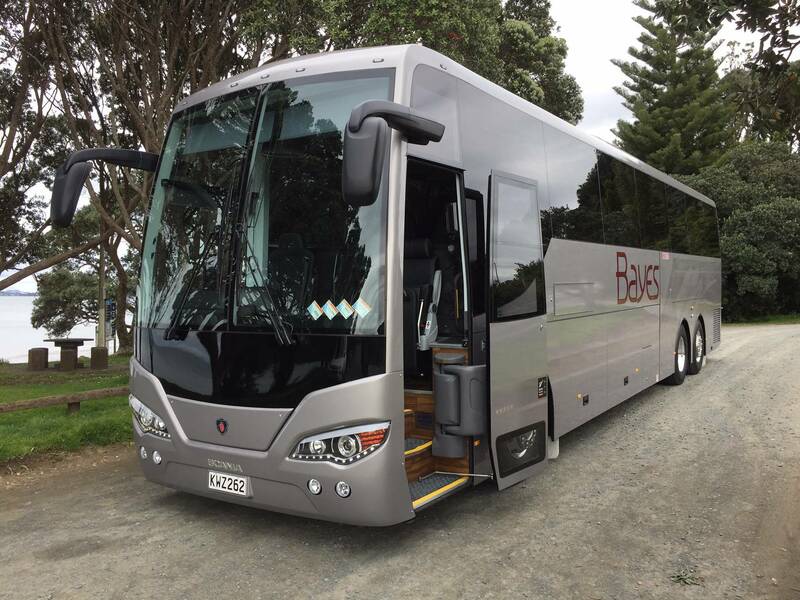 On one of our 5 star deluxe touring coaches you can expect all the features and and comfort a top end luxury coach should provide. 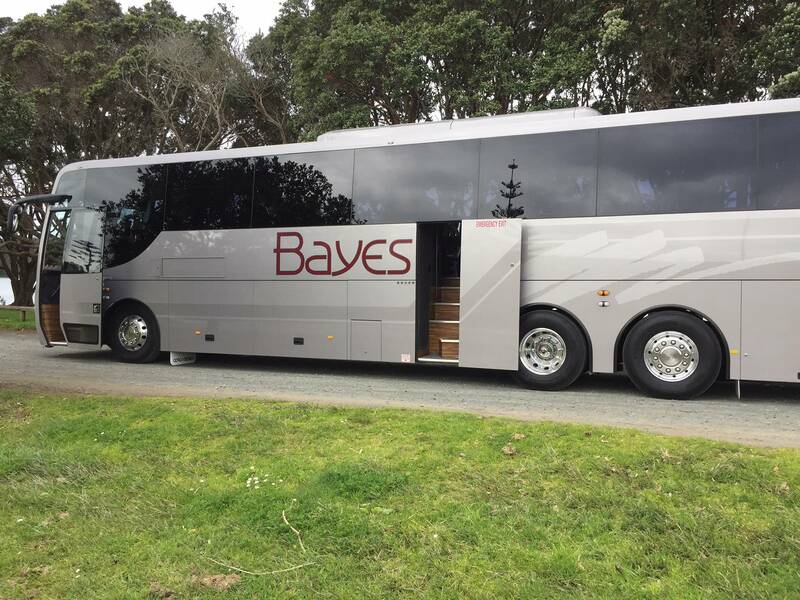 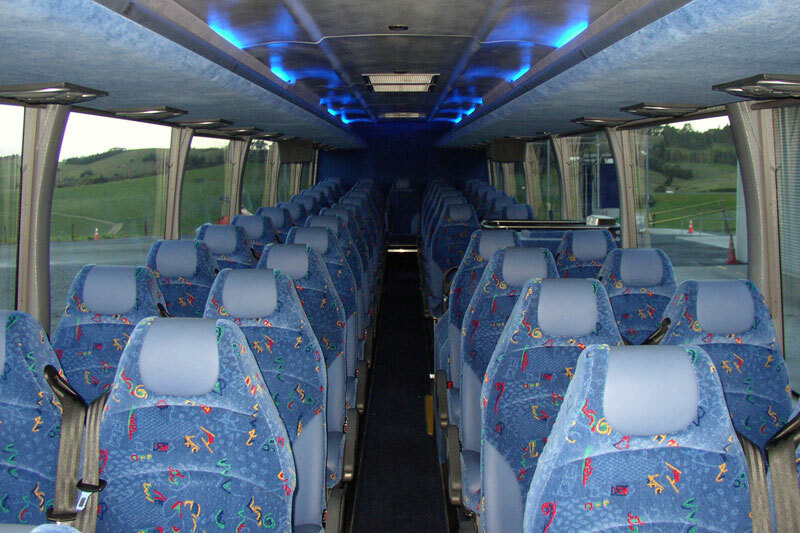 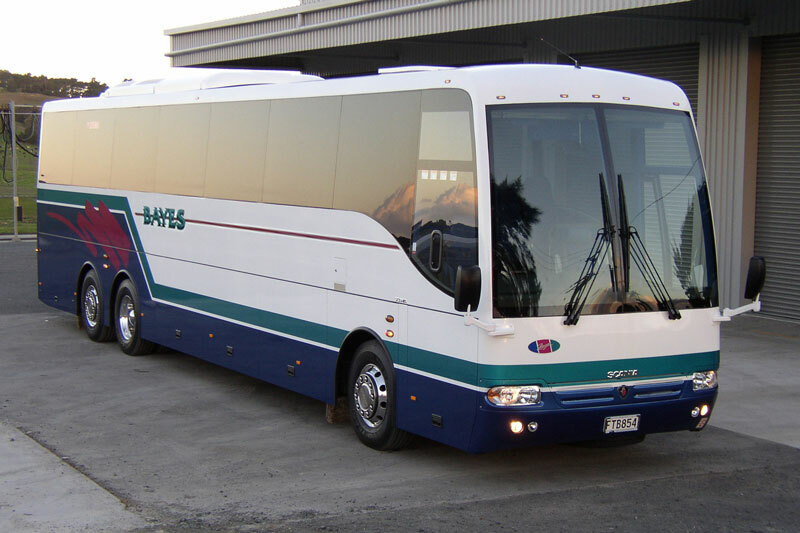 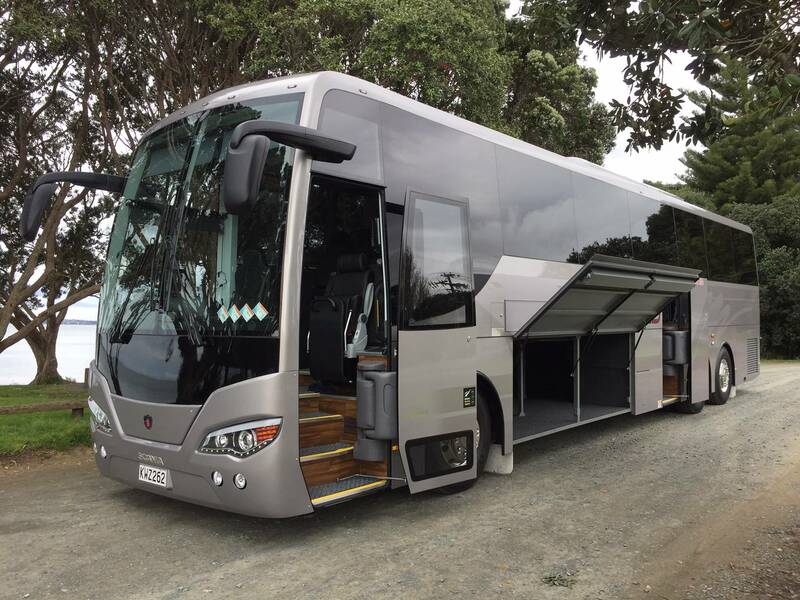 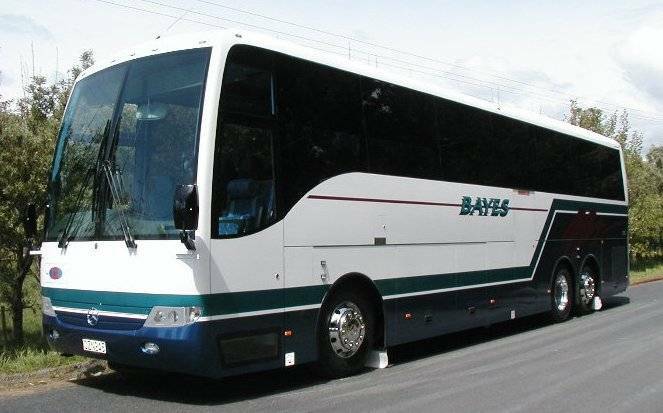 At 12.6m or 13.5m in length they are set up and designed to give you the ultimate in ride comfort and luxury travel. 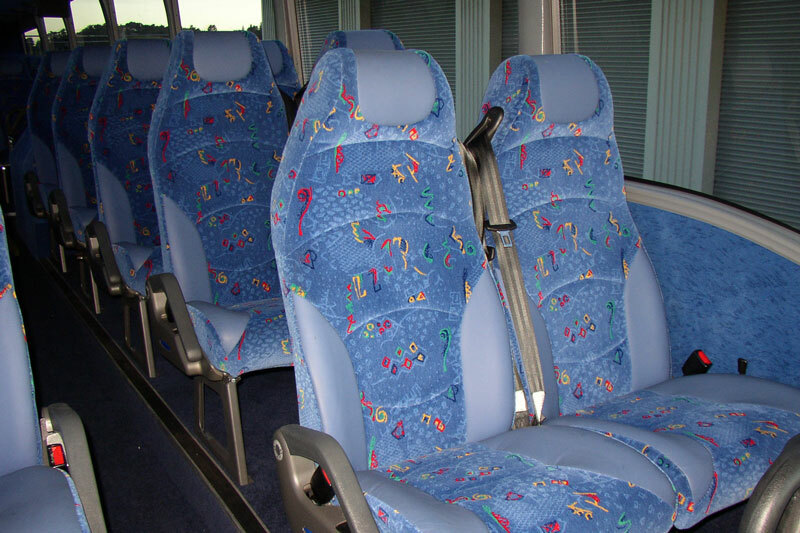 With leather headrests and seat bolsters on the contoured and 3 point seat belted seat you are both comfortable and safe. 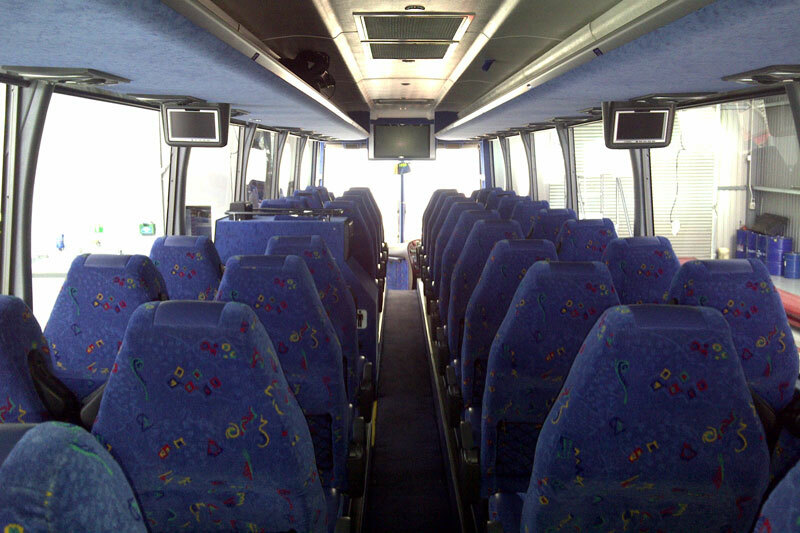 Large panoramic windows give unhindered views of the many amazing sights you'll see along your journey. 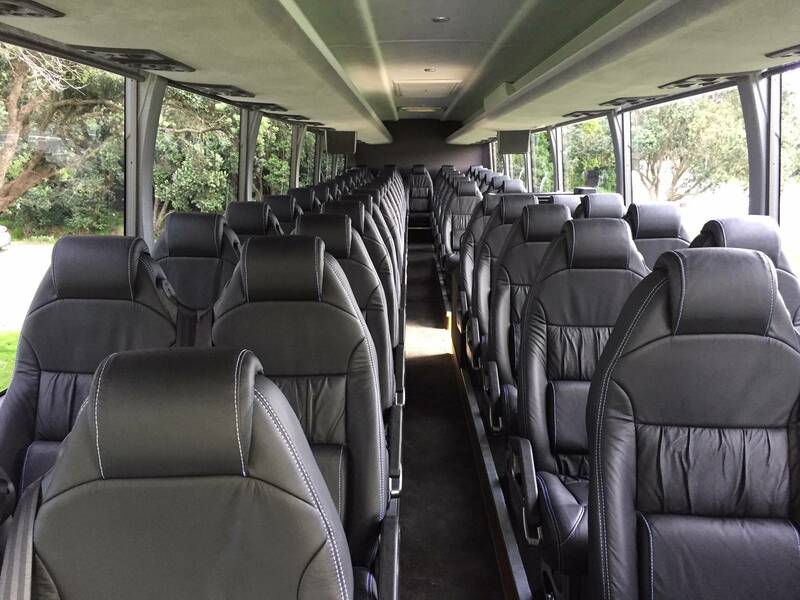 You'll feel at home in your surroundings with the deluxe velour interior, fully climate controlled air-conditioned cabin and state of the art DVD CD PA systems with up to 3 TV screens. 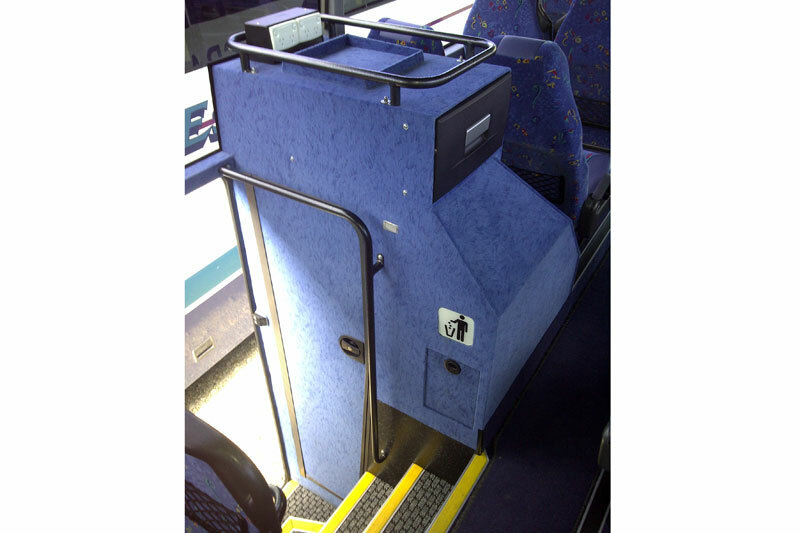 Twin doors are well located for fast and easy entry and exit. 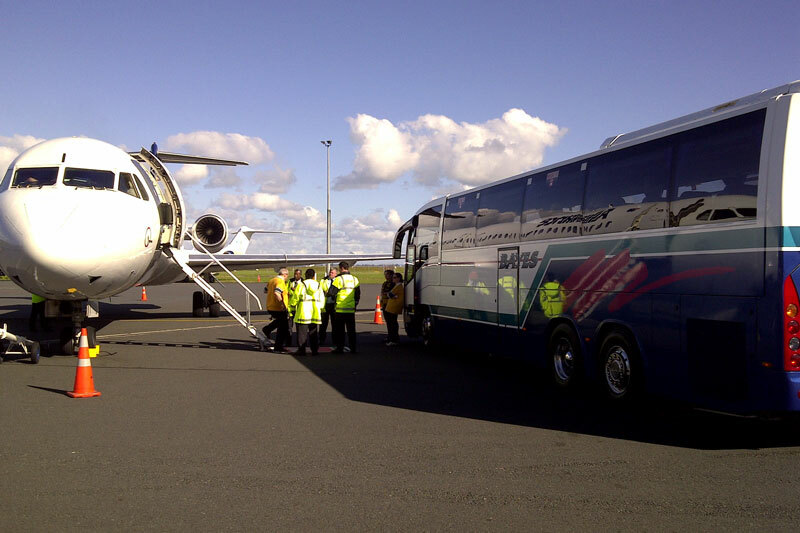 A fridge and on board toilet is also provided for your convenience. 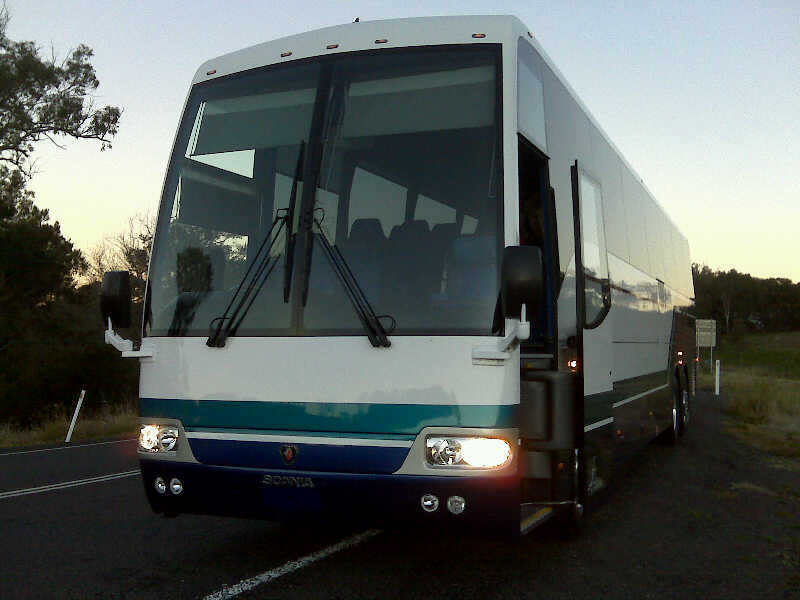 Underneath the coach is the latest in comfort ride suspension and safety features.